On Friday, the Manor FFA Vet Science Team competed in the Area 12 Career Development Events. 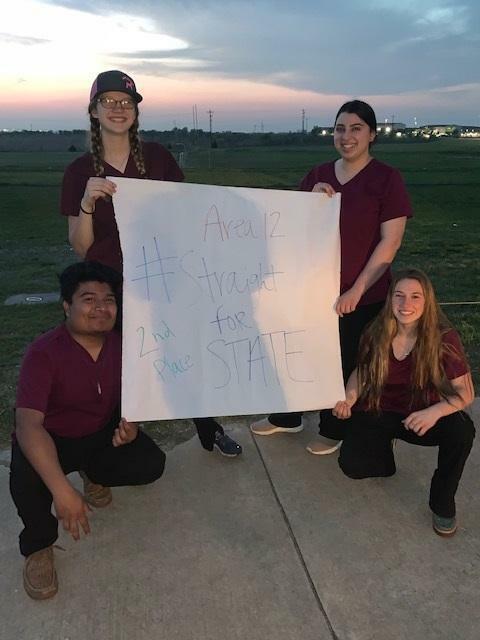 Going up against 45 other teams, Manor placed 2nd and will be advancing to the State CDE Contest!! This is only the second time in Manor FFA history that a team has qualified for a state contest. A big congratulations to team members Brian Aguilar (senior), Harley-Anne Horn (junior), Kassandra Pineda (senior) who was also 4th high contest individual, and Petula Randolph (senior)!! They will be competing at the state contest held at Texas A&M on May 4th.